Geneseo is a charming small town, about 20 miles east of the Quad Cities in Henry County, served by three interstate highways, two state highways, and a strong business community. Why is Geneseo an ideal community? Small town living at its best. Our Victorian charm is evidenced in the architecture of our community. Quad City International Airport just a short 20 miles to the west in the Quad Cities. Quiet suburban lifestyle connected to the arts and local theater, local festivals and parades. A great school system that provides excellent academic opportunities starting with the preschool Ladders to Learning Program. Great parks that are picnic perfect and that play host to many summer concerts, festivals and ice cream socials. 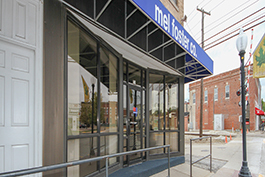 The Geneseo office sales team of Mel Foster Co. welcomes you to our neighborhood. As one of the leading real estate companies in Geneseo and surrounding area, we are dedicated to providing you with comprehensive marketing and technology services, including thousands of property listings, searchable open houses, email alerts and updates, financial calculators, market demographics and reports, buying and selling tips and more. Geneseo is known for its lovely and stately Victorian homes. Old fashioned downtown stores and businesses. No one knows this town like we do! We are committed to maintaining the standard for excellence and leadership. Our primary goal is to provide the highest level of service to our clients through integrity, professional competence, teamwork, financial stability, and a commitment to our community. Thank you for selecting the Geneseo office website of Mel Foster Co. for your real estate needs. Our website is your trusted source for real estate information! Contact us at geneseo@melfosterco.com to start your home search or to find one of our full-time professional agents to help you buy, sell or build your home.